Veeder-Root 846396-710 is a 10'6" Density Mag Plus (MAG-D) Aluminum. 0.1 In-Tank Probe with High Grade Polymer (HGP) Canister with Leak Detection. TLS-MAG-D system is a cost-effective and practical approach to measuring the density of fuel and detects the disbursement of substandard fuel. The MAG-D probe measures fuel density to detect the disbursement of substandard fuel. This in-tank probe solution for density measurement is certified to exceed U.S. EPA performance standards. Using the MAG-D probe provides quick and accurate density measurement of fuel during a delivery using a temperature-compensated density factor. You can view these measurements in real time on your Veeder-Root TLS tank gauge. Certified performance for inventory control and in-tank leak detection in gasoline, diesel and more. Veeder-Root 330020-282 is a 4" Threaded NPT Riser Cap for In-Tank Probes. One-piece durable composite plastic riser cap for 4” NPT risers. Cap designed to include integrated cord grip and is UL approved. Veeder-Root 331137-001 Riser Cap Installation Tool for In-Tank Probes. It is specially designed tool for easy installation of the 330020-282 Probe Riser Cap in tight spots. Not for use with 4” Riser Cap and Ring Kit. Only one required per technician. 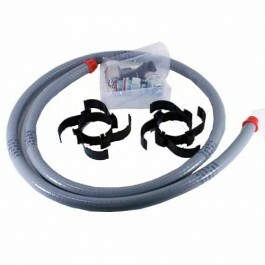 Veeder-Root 846500-001 is an installation Kit for Mag Probe. Features Vapor Extractor with Riser. 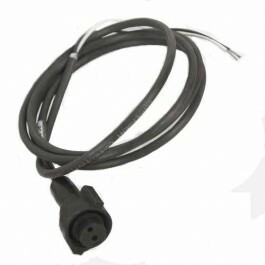 Veeder-Root 846500-002 is an installation Kit for Mag Probe. Features Vapor Extractor without Riser. Veeder-Root 846396-702 is a 5' Density Mag Plus (MAG-D) Aluminum. 0.1 In-Tank Probe with High Grade Polymer (HGP) Canister with Leak Detection. TLS-MAG-D system is a cost-effective and practical approach to measuring the density of fuel and detects the disbursement of substandard fuel.